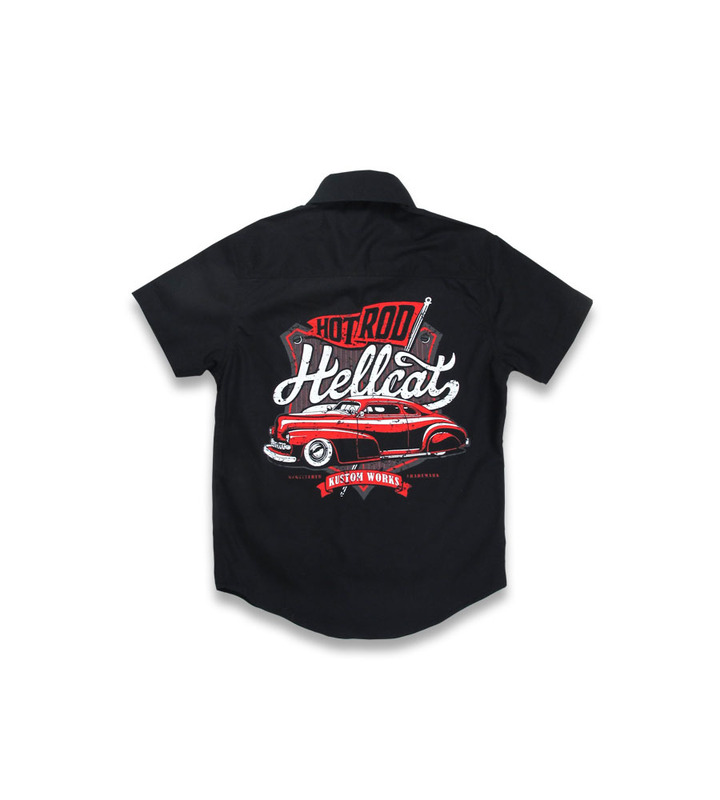 Cross your heart and hope to race! 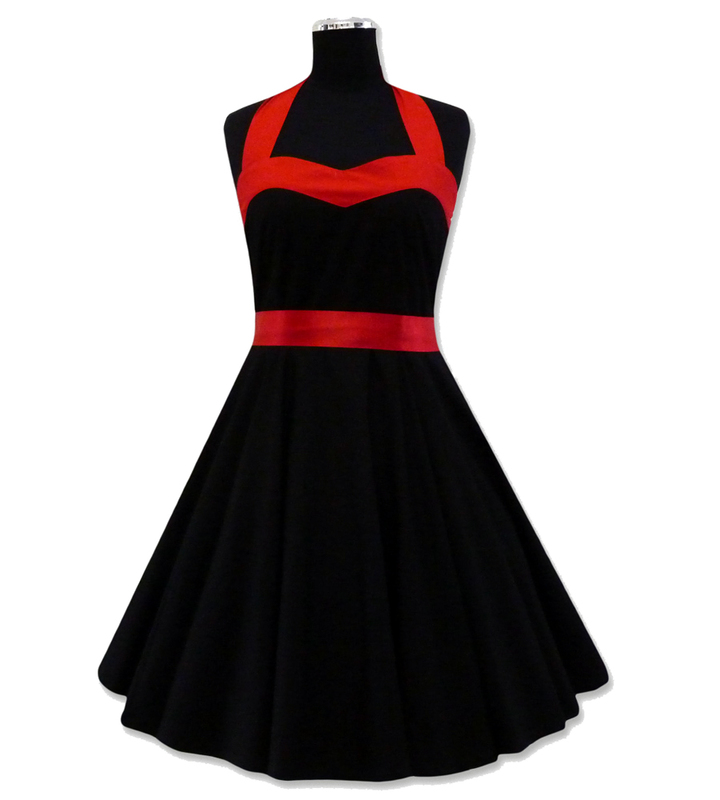 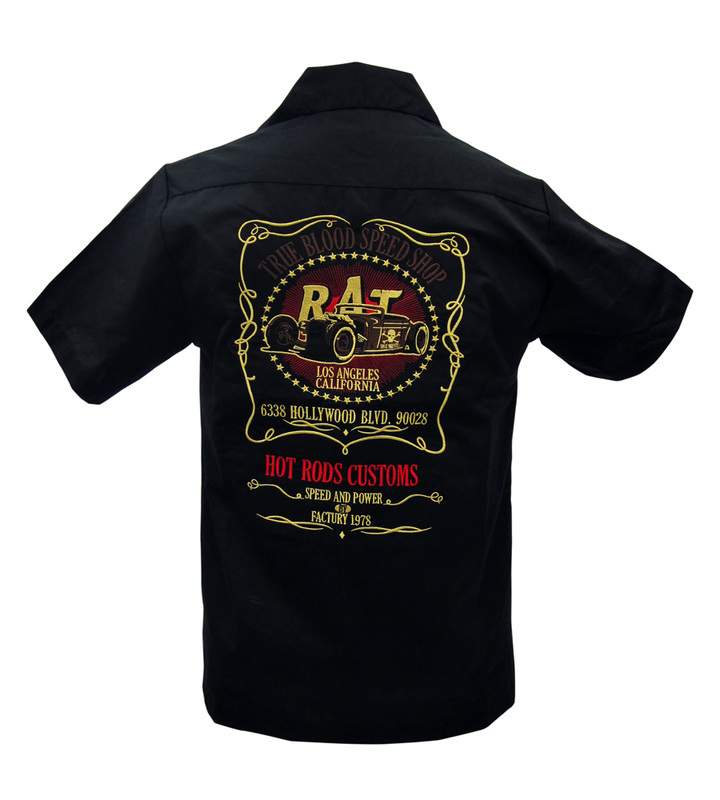 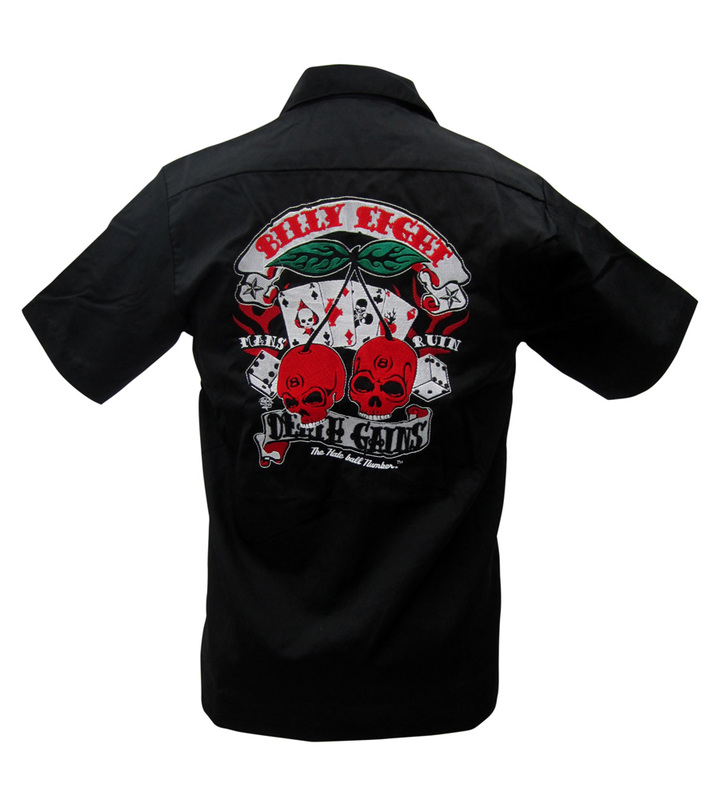 This rockabilly kid's work shirt features a black base, short sleeves, and fantastic punk rock collar. 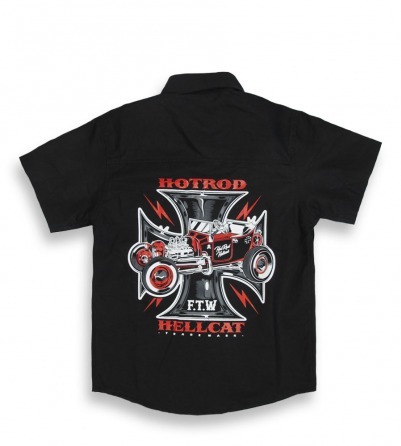 This rock and roll button up features a black and red illustration depicting the HOTROD HELLCATS tattoo inspired cross and retro racer.